Two (2) pairs of 18K Italian Earrings including Ilias Lalounis. 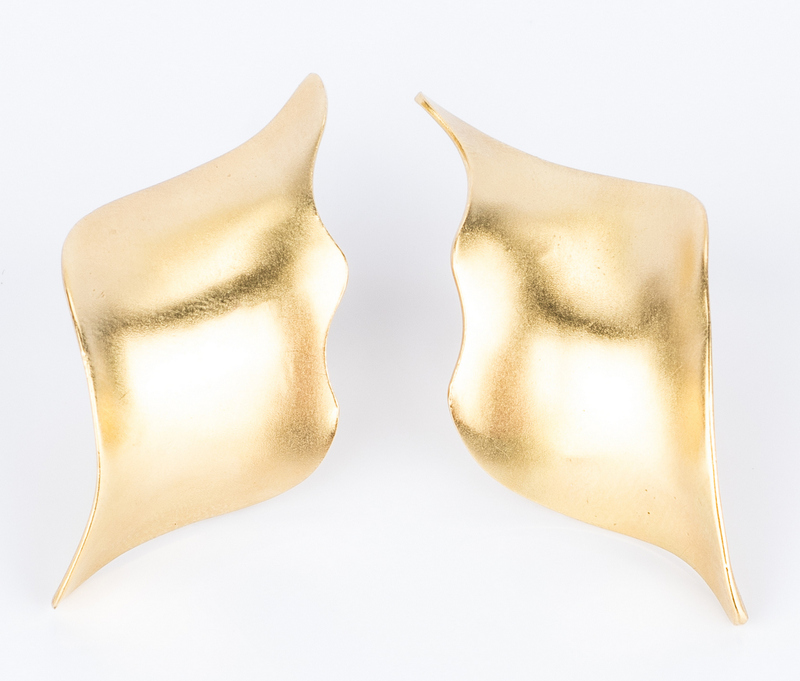 1st item: Pair of Ilias Lalaounis 18k yellow gold satin finish earrings in wave motif. Maker's mark on post and earring base. 1 1/2" H x 3/4" W. Post and clip earring backs. 14.7 grams. 2nd item: Pair of Italian 18k yellow and white gold diamond huggy earrings containing total 48 round diamonds with total weight of approx. 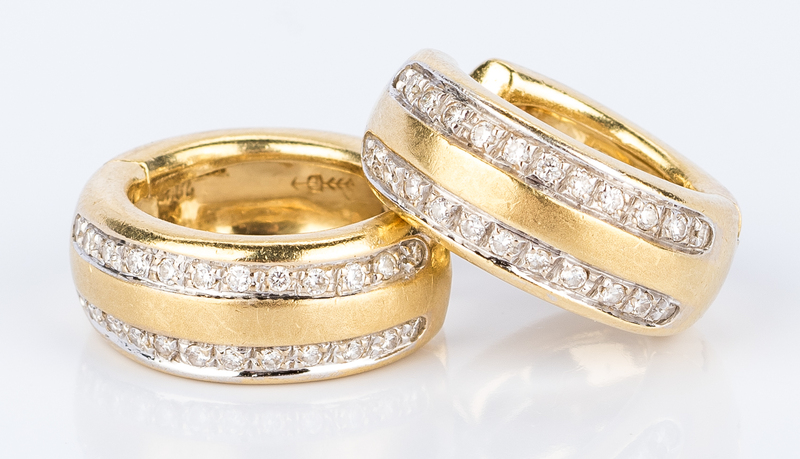 .48 ct. set in band of white gold. Maker's mark and ITALY, 18KT on interior. 15 mm L x 6 mm W. 9.8 grams. (24.5 grams total). Provenance: Private Knoxville, TN estate. CONDITION: 1st item: Very good condition. 2nd item: Scattered surface scratches due to wear.